The range in batting gloves is very wide. 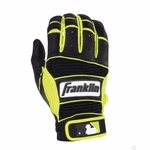 There are many brands of batting gloves on offer in the closeout. The brands include Easton, Louisville Slugger, Cutters, Nike, Reebok, Neumann, Adidas, Wilson/DeMarini and others. 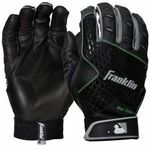 These batting gloves are available in pair packs. 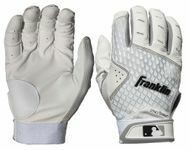 The Neumann Nabe Adult Batting Glove is a synthetic version of the batting glove worn by Major League Players. The synthetic palm is non-tackified. This ensures a sensitive fit and the spandex with synthetic back and fingers allows greater flexibility. 1 � inch wrist wrap gives additional support and tab closure allows for easy on and off. The Adidas Youth Batting Gloves also contain non-tackified synthetic palm which ensures a sensitive fit and the spandex/synthetic back and fingers allow greater flexibility. The wrist wrap of 1 � inch dimension provides additional support and tab closure allows for easy on and off. 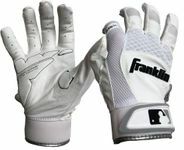 Baseball bating gloves from Cutters are top quality batting gloves. 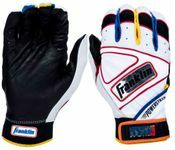 These gloves have full C-Tack palms and fingers which promote bat alignment, provide the ultimate grip and thus eliminate the need for pine tar. 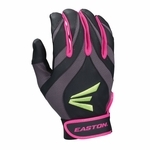 These batting gloves from Cutters perform in any type of weather. These C-Tack Gloves can be machine washed and dried. They are sold in pairs. 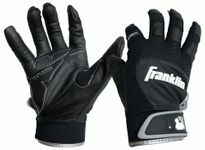 The Reebok Assault Performance Batting Gloves with Flex Fit Inner Web are made of goatskin leather palm. They come with precurved fingers and reinforced reflex thumb to improve flexibility. The elastic reflex thumb and elastic wrist, reinforced fingertips and ribbed spandex back add to the player�s performance. The Turboslot Batting Gloves help in increasing the bat speed and power, strengthen hands and wrists, correct the grip and reduce the vibration. 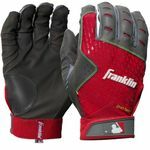 These gloves make you a better hitter. All these batting gloves are available at excellent discount and it makes a lot of sense to buy them at this stage.